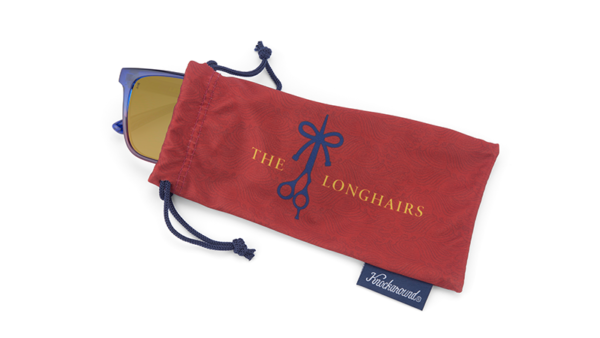 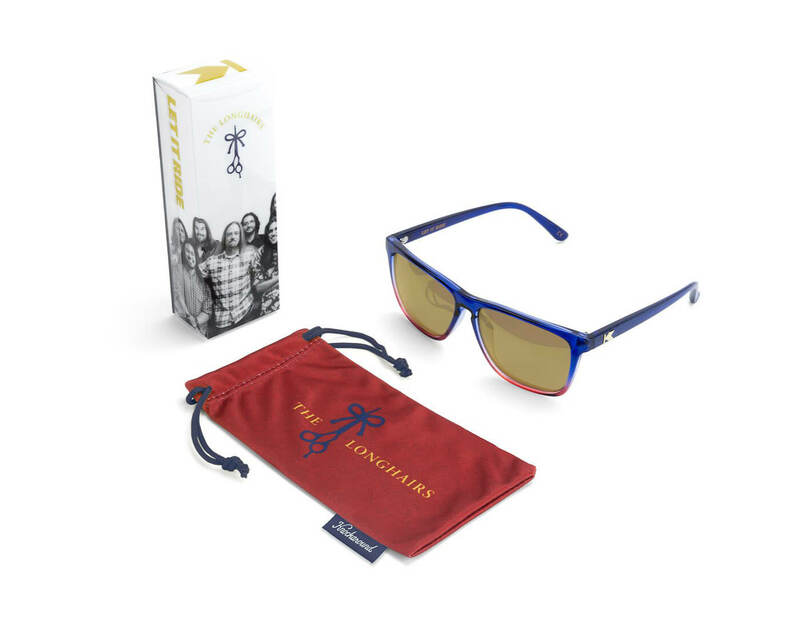 The Longhairs “Let It Ride” Fast Lanes feature a translucent navy blue frame that fades to crimson on the front. 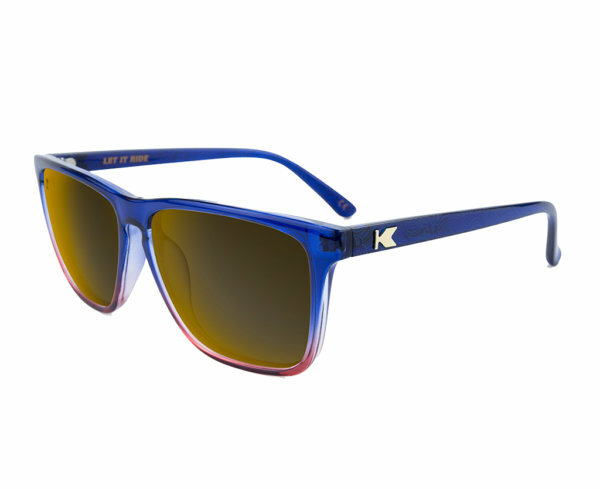 The outside of each arm has a tonal, free-flowing wave pattern with a Knockaround script logo and the “Let It Ride” mantra emblazoned on the inside. Polarized gold lenses with The Longhairs shears logo lens etch and gold K logo hardware finish off these killer shades. 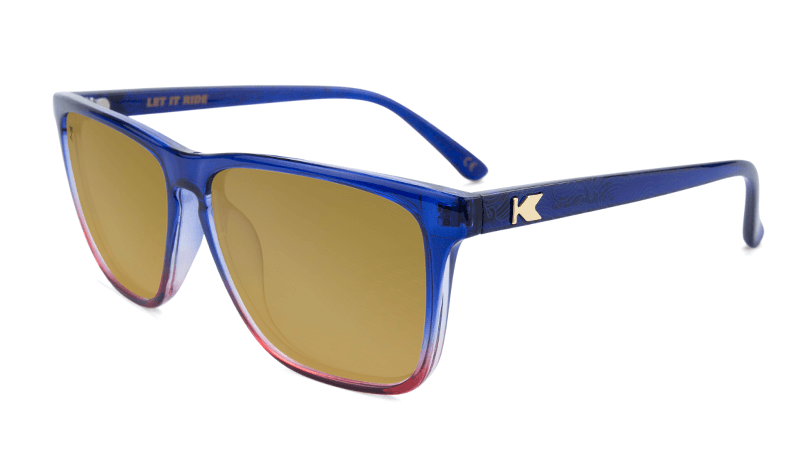 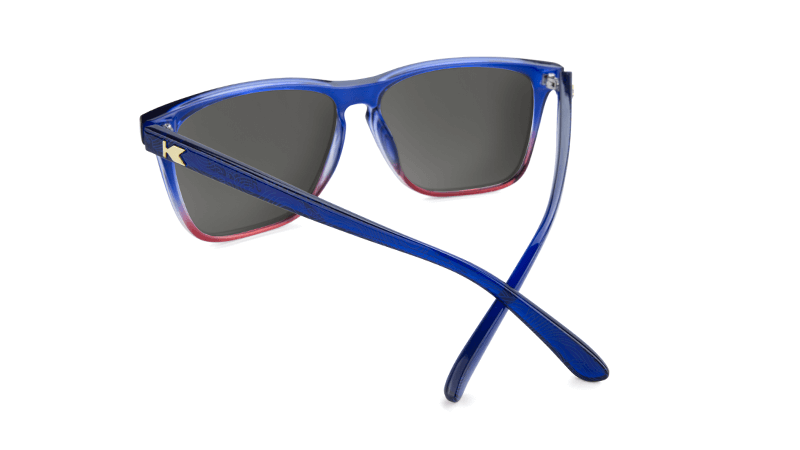 The Fast Lanes feature clean-cut, rectangular lenses, and provide full UV400 sun protection.